On the Trail: Ski shoeing, a mix of cross country and snow shoeing. Thanks to ancestors of Mongolian horsemen and warriors who trace their lineage to Genghis Kahn, winter hikers do not have to choose between either cross country skiing or snow shoeing. Rather, they can benefit from the centuries of experience of the Altai people, the indigenous Chinese citizens of the Altai mountain range, bordering China, Mongolia, Kazakhstan and Russia, who have mastered a hybrid form of winter snow travel, best described as “ski-shoeing”. This technique uses short and wide skis designed to enable walking up snowy hills as with snowshoes, but allows skiing downhill like with cross country skis yet enables sliding across level snow covered ground. And, ski-shoes, which are about 70-75% the length of traditional skis and weigh about 5-6 lbs. per pair, can break trail too. The ski shoes, called Hoks, which means “skis” in the native Tuwa language of the Altai people, includes a fabric climbing ‘skin’ built in to the undersurface of the skis, as well as metal edges, commonly found on backcountry skis. The Altai Hok skis were designed to be more efficient than snow shoeing yet easy to learn even for non-skiers, Nils Larsen, president of Altai Skis, interviewed by phone from Curlew, WA, said. In fact, hikers can use their existing hiking or backpacking boot with the ski’s universal binding, or, use a cross-country ski boot with a different binding for increased control. 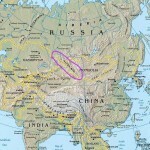 The Altai people have been using similar type skis for centuries or longer. They use horsehide, however, as the climbing skin, with the stiff hairs facing downhill to provide traction when climbing. The Hok skis use a similarly stiff but synthetic fabric. 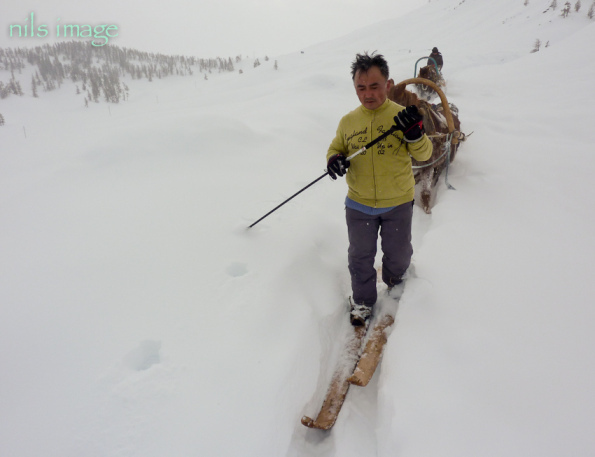 Unlike traditional cross country and down hill skis, the Altai people use only one pole, made of larch or birch wood, not two poles. Called a ‘tiak’ this one pole is held by both hands and dragged behind the skier to provide balance when skiing downhill. Larsen explained that using the one pole in this manner really improves stability. The pole is not used to propel the skier forward. The Hoks could be used on as little as several inches of snow, Mr. Larsen said, and can be used to climb most hiking trails with the exception of thinly covered icy trails. They excel, though, in deeper snow. 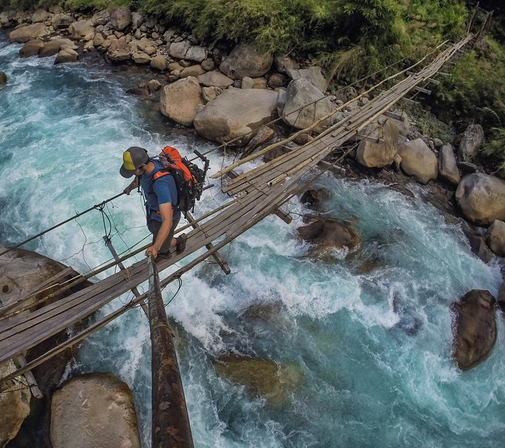 The Hoks can traverse exposed rocks but the skier has to walk over them like with snow-shoes. Compared to cross country skis, the Hoks are slower both on flat terrain and downhill, and they do not fit into groomed cross country tracks, Mr. Larsen said. But, he maintained, they are more efficient than snow shoes since the user can slide his foot forward each step instead of lifting it up. And, the shorter ski length makes the Hoks more maneuverable than longer skis when navigating around trees in wooded areas, he added. The Altai people use their ski shoes for daily travel around their villages as well as tracking of Elk in their nearby forests. An Altai Elk hunt on ski shoes was well documented by National Geographic in their December 2013 issue (including some video footage of the Altai skiers nationalgeographic.com). Researchers suggest that short, wide skis lined with animal hair could date back thousands of years and may represent some of the earliest skis ever. Winter hikers may find that this simple design could enhance their winter adventures by making snow travel on the trail more efficient than with snow shoes and more versatile than with cross country skis. 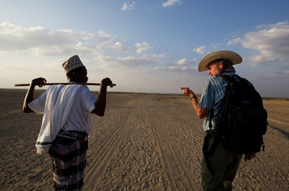 “Are you getting tired of walking?”, Steve Inskeep, host of NPR’s Morning Edition asked National Geographic adventurer Paul Salopek after he had completed the first year of his planned seven year walk retracing human migration from Ethiopia, through the Middle East, Asia, North and South America and ending at Tierra del Fuego, the southern tip of Chile. Salopek is wintering in Turkey for a few months, to rest, catch up on documenting his trip and plan the next section of his walk. Salopek did not hesitate to answer. Myriad reasons attract people to walk the open road or trail. Many are motivated by the need to exercise. Some are seduced onto the rocky trail by the siren call of rustling leaves, or a cascading creek, or the birdsongs which are so prominent a part of nature’s soundtrack. And if you are fortunate, you returned from your hike or run or walk in the woods feeling emotionally recharged, even if physically tired. You may have seen an animal or flower that quickened your heart beat. Worries dissipated, at least for a time, and where to place your next footstep was your most pressing concern. But how does it happen? How can running along a brook, hiking in a meadow or walking through the park be so therapeutic? Today at twilight I ran along a creek, a small river, actually. And I was surprised by what I did not see. No birds. No herons, or egrets or cormorants. No swallows diving toward the water than soaring toward the sky. And I saw precious little animal life. One cottontail, not the dozen I usually see. And one doe, large eyes staring straight at me, but all alone. The branches were bare save for the pine and spruce boughs. And no trefoils or clover were in bloom. All was quiet, nature bereft. As I contemplated the stillness I thought of the answer Salopek gave at the end of his interview. “Are you tired of walking?”, Inskeep asked. “No”, he answered immediately. “I think, on the contrary, that’s what this walk does. 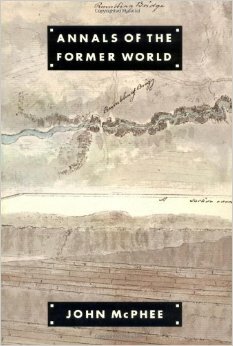 This walk has the power I never imagined, to make the whole world seem new again”, Paul Salopek concluded. 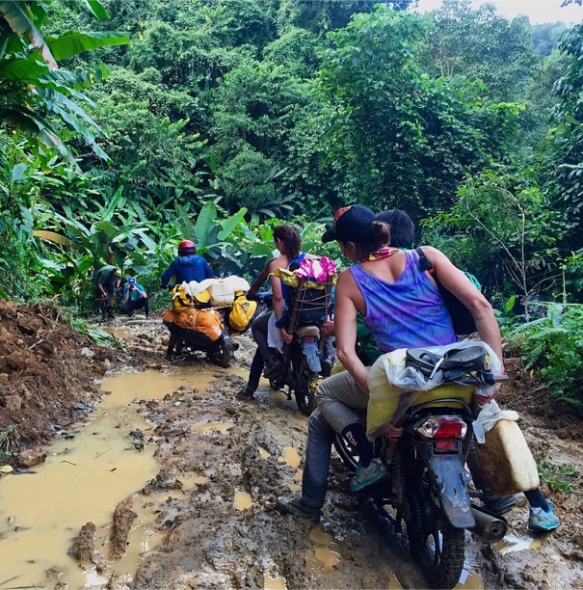 How than does the trail recharge the soul? When you engage the world at a slow human pace, and remain in contact with the ground, you have the opportunity to see the world anew. Around the globe, many people will soon mark a new calendar year. But make no mistake. What makes the year, or month or day new, is not the date on the calendar. Rather, the ability to look at the day with open eyes, and take the time to contemplate that experience, that is what endows sameness with newness. I do not have Salopek’s seven years to walk. But I can wander into a nearby forest or field, and when I do and whatever the season, even on a barren winter eve, all seems new, again. The movie “Wild” is coming to a theater near you, the screen adaptation of the eponymous book about Cheryl ‘Strayed’, a newbie hiker who set off and thru-hiked the 2,600 mile Pacific Crest Trail on a journey of self discovery and emotional healing. When you see a trailer for the movie, you will see Cheryl’s boots, the camera pointing straight down toward her heavy backpacking boots. Big, solid leather boots with prominent red laces and metal lacing hooks. For the movie at least, the actress Reese Witherspoon wore Danner boots, made by the long-time boot manufacturer in Portland, OR. I know this because I ordered a pair of Danner Station boots which I wear to work and therefore I am on their email list. 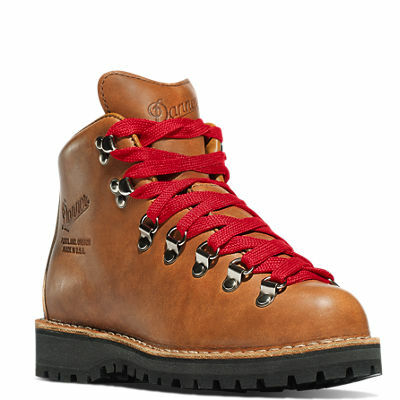 They proudly sent me an email newsletter with a short film about the making of Reese’s boots, including footage of the Danner manufacturing plant and interviews with the employees, craftsmen, really, who assemble this old-fashioned bespoke footwear. (See Danner’s well done promo about their Mountain Light Cascade boot worn in the movie here). Over the past several years, hikers, backpackers, runners and anyone who takes more than a passing interest in walking or running, shoe wear and design knows that the trend toward lighter weight foot wear has taken over much of the industry, at least for the shoe cognoscenti. Hikers are routinely thru-hiking the country’s longest trails, the Appalachian, Pacific Crest and Continental Divide trails, in running shoes or low cut hiking shoes. And the reasons are simple. 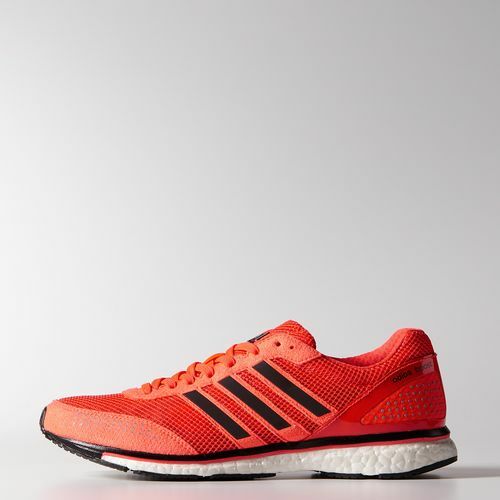 Researchers have established incontrovertibly that every 100 gram decrease in shoe weight results in about 1% less oxygen consumption required during activity. 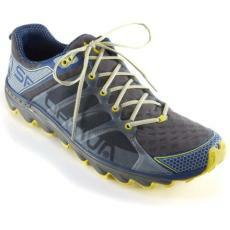 Basically, lighter weight shoes are simply easier to wear over long distances. But, is there a hidden cost to our light weight foot wear? Cam Honan who Backpacker magazine says “trekked 50,000 miles” on foot is reported in the March 2014 issue to have worn through 28 pairs of shoes on a 15,000 mile hike of all of the longest trails in the US including the AT, PCT and CDT. 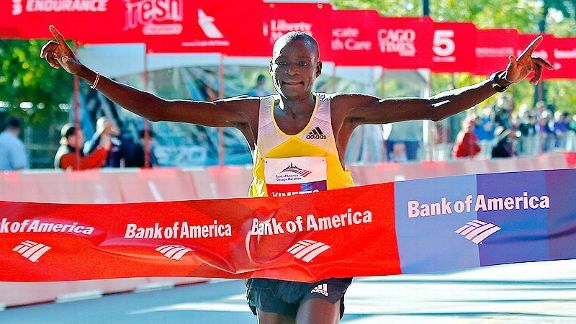 He switched out shoes on average every 535 miles. His experience is not unique. Long distance hikers often literally wear out multiple pairs of shoes. Old shoes, if we are conservation minded, get donated to a charity, if they are in any kind of wearable condition. Otherwise, they get added to the growing pile of the world’s refuse heaps. So while boots like Danner’s Mountain Light boots are very heavy (probably approaching 2 pounds each), they are resoleable, what Danner calls “recraftable”. Perhaps Cam Honan could have covered 15,000 miles in two boots, the one he was wearing and the one that was being resoled. Who knows? But as we embrace lighter weight footwear, we should think about the issue of durability and having to throw more junk into our landfills. The hiking and trail running shoe manufacturers should start to take a cue from rock climbing shoes, which take a beating, getting scraped and brushed against all manner of hard rock surfaces, yet, can be resoled and more than once. 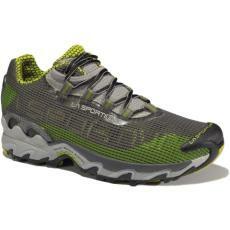 I have been wearing a pair of Five Ten Guide Tennies for a number of years and have had them resoled. Why can’t hiking shoes be light weight and resoleable? I challenge hiking and trail running shoe manufacturers to design technical footwear that is both lightweight and ‘recraftable’. That way we can be both good to our feet and good to the planet. companion for oh, about 15 moons. like the day I first spied thee in thine box. and along the Escarpment Trail. And through puddles and snow, and in day and in night. But you show your wear, though thee be but one year and some months old. Your midsole is full of lines, creases, that cannot be ignored. It is beaten down, and you feel hard beneath my soft feet. Though, to be kind, overall you still look so youthful. only to land and break a vital bone or tear a sinew. And moreover, my fickle self also seeks a lighter model with a lower heel. Lest you think me cruel, I will not totally abandon you. No, I will keep you in my closet, to don once a fortnight or so to run an errant errand. And no Wildcats, I will not make you meet your heir to my feet. But a full year younger, and lighter, and, oh, their tread, it is just fine. No, Wildcats, you need not meet Helios now. Rather, you will meet them in the closet, in, oh, about a year or so. 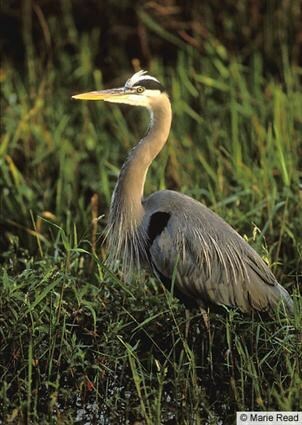 Twenty minutes watching a great blue heron from fifteen feet away can teach you a few things. I sideled up to the waters edge of Overpeck Creek recently after running in the large urban park, to see what I would see. Usually not much. A distant cormorant or a snowy egret on the far side in the phragmites. But this morning would be one I would remember. A great blue heron stood motionless on the kayak dock just a few feet off shore. Completely motionless. Statuesque. Immaculately attired actually. And there it stood. I sat on a nearby granite rock and noted the time. It did not move, fixed in its gaze toward the water. Five minutes passed. Ten minutes. Than in balletic form it turned 180 degrees. And again stood still, now gazing at the water in the opposite direction. Another five minutes. No movement, until slowly the heron stepped off the dock and into the water, clearly a more strategic position. It lowered its head to within inches of the water, than looked up and moved away, crouching under the sloped gangplank of the dock, compressing its neck into a perfect S shape, its dagger like beak pointed, poised, primed to strike. Then in one explosive action the bird uncoiled its neck, and in so doing buried its beak full into the water with nary a splash. What happened below the surface, though, remains a mystery for it raised its head high, its beak empty. Had it caught something small and quickly ingested? Whether because of its success or its failure, the great blue than strode away. 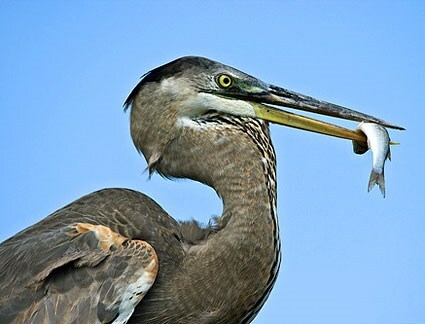 I took away some lessons from watching the heron, lessons of patience, perseverance. Lessons of focus, stillness and, that solitude is often essential. But I also learned that clear, cool autumn morning by the shore of the wide slow moving river that if you plan to survive hunting small aquatic wildlife near the water’s edge, you should arm yourself with a very long, flexible neck and a beak as lethal as a bayonet. “Shelter” is not a word commonly invoked to describe the vagaries of our modern 21st century day to day lives. We don’t say “I am going into my shelter now”. Rather, we say “I am going inside”, meaning, of course, we are returning into the safety and security of our homes. In fact, “shelter” evokes images not of home and hearth but of a bomb or air raid shelter, remnants of the 1950s cold war. If you live in Israel, a “shelter” is part of your normal vocabulary as all new construction must include a shelter or “safe room” to protect from missile attacks, or worse. And, a little over a year ago the word “shelter” was repeated frequently as Boston police warned residents to “shelter inside” while they searched for the Boston marathon bomber. In all recent examples, “shelter” has a negative connotation: a place to retreat from mortal danger. And so, the notion of a 3-sided low ceilinged stone structure built on the side of mountain, miles from a road, town or city being called a “shelter” is anachronistic. Afterall, this primitive structure could only protect from rain and snow, and that only if they are not blowing in sideways. These shelters are no protection from wild animals, big or small, and offer only partial protection from cold or heat. Yet, these structures found along most long distance hiking trails are in fact referred to as “shelters” for they do offer a hiker a modicum of protection from the weather. A “primitive shelter” is a more apt name. 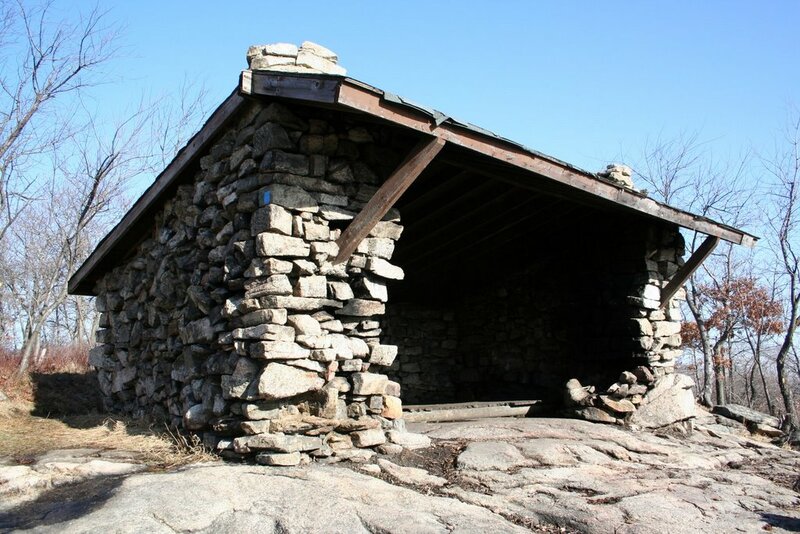 As I set my backpack down last Sunday on the stout wooden floor boards of the West Mountain shelter in Harriman State Park, about a half mile from the Appalachian Trail, I felt indebted to the men who, in about 1928-29, went to great effort to build this structure in the woods. In their prescience, they sited the West Mountain shelter on pre-Cambrian granite bedrock, to face an unobstructed view of the Hudson River and off in the distance, the Manhattan skyline, a skyline that was only just getting started at the end of the roaring twenties. This shelter, like so many shelters on hiking trails in the northeast, is a substantial structure consisting of three walls built from bowling ball sized boulders of different colors and shapes, held together with no mortar noticeable, yet impermeable to wind and rain blowing through the walls. The ceiling consists of shingles on top of wooden beams and slats. 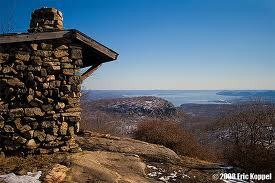 The West Mountain shelter even includes two built in fireplaces on either side of the broad open front entrance. It does not have a water source nearby but I can not fault the nameless men who built this edifice 85 years ago. They were clearly taken with the beautiful view, water or not. 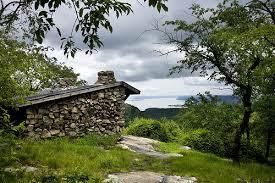 Volunteers continue to maintain and build hiking trails all over and even refurbish shelters when needed. 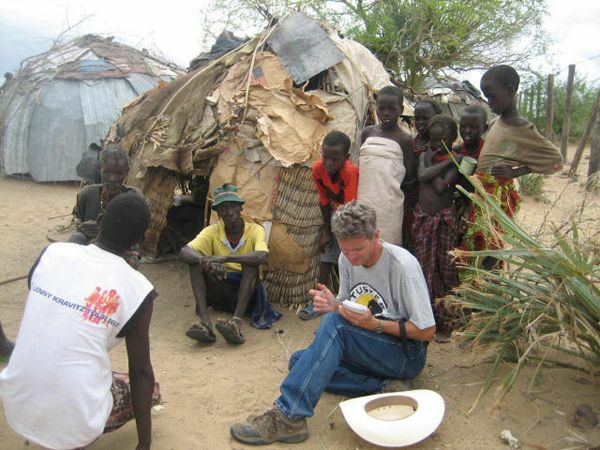 But I do not hear of many cases of shelters being built at new locations, although it probably happens. As I ‘sheltered inside’ the West Mountain lean-to, protected from nothing in particular on that sunny, balmy, picture perfect day, I wished I could have offered a personal thanks to the people who chose this location, gathered the boulders and wood needed to build this old fashioned trail shelter so many years ago, rock by rock, beam by beam.